Make an elegant entrance in this gorgeous floral printed skater dress by Vera Mont. 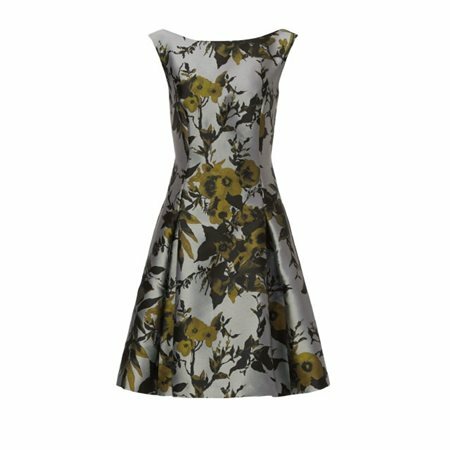 The dress has been beautifully tailored from a rich pewter fabric with a floral design in olive green and black. The dress is sleeveless with a plunging back and flares out at the waist into a full bodies skirt. The dress closes at the back with a concealed zip. Wear it for a special occasion and look fabulous.